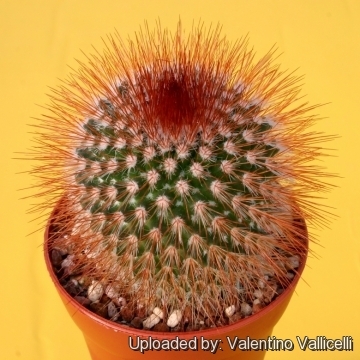 Description: Columnar plants, usually solitary but they can form pups on old plants. M. spinosissima is very variable due to its wide area of origin in Mexico. The color of the spines vary from red or rust to white. 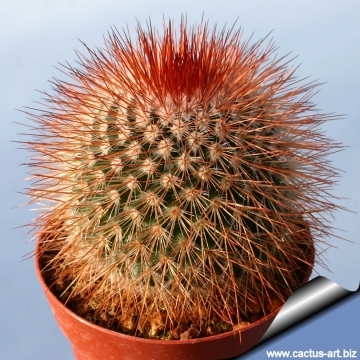 The “rubrispina” selection forms nice clumps of columns, densely spined with bright coppery red spines. Tubercles: Ovate conical, four-sided basally. The axil is slightly woolly. Radial spines: 20 - 25, white, bristle-like, 4 - 6 mm long. Central spines: 12 - 15, copper-red, stronger than the radials and thicker at the base, straight, 10 - 12 mm long. Flowers: Vivid purple/ red to deep pink, 12 mm long and in diameter, encircling the columnar stems. Fruits: Purplish red or greenish. 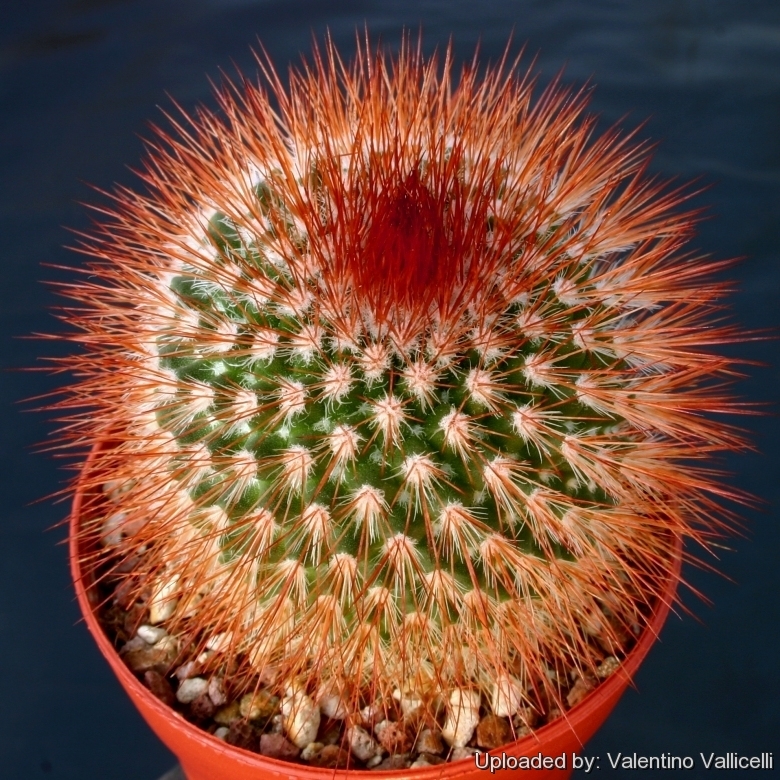 Remarks: Mammillaria spinosissima “rubrispina” also known as the "Red-headed Irishman" has very attractive copper/red coloured spines and is one of the most beautiful Mammillarias. 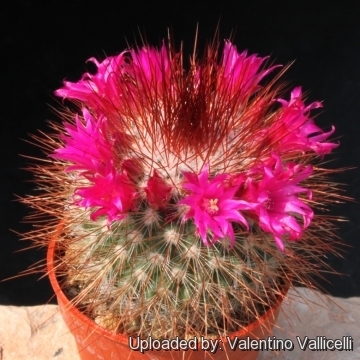 Cultivation and Propagation: Mammillaria pilcayensis f. rubrispina is an easy to grow cultivar, just as a classic cactus, don't requires any special treatment, but need as much light as possible without burning the plant to encourage the heaviest spine formation. 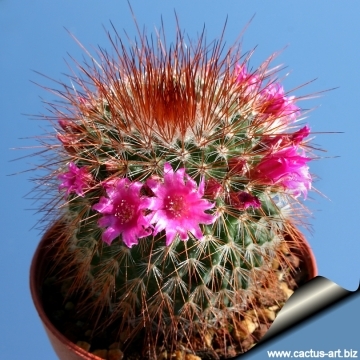 It is a great starter plant for the cactus grower, that readily builds up into a cluster of stems highlighted by reddish spines, further decorated by rings of purple-pink blooms.